Pickup trucks are an extremely useful vehicle to Ontario residents because they provide the strength and flexibility that area drivers need. The 2015 Toyota Tundra is an extremely powerful pickup truck in many areas, and it’s no wonder that it is one of the more popular vehicles in the area. The 2015 Toyota Tundra vs 2015 Chevy Silverado comparison is perfect because it shows drivers exactly what they want to know, and that is which vehicle is a better value. The 2015 Tundra beats out the Silverado in almost all aspects of power as well as size. The Tundra has a larger box which means you can haul more cargo, more easily than ever before. It offers passengers a ton of space to spread out and relax, without compromising the vehicle’s edgy appeal. The 2015 Toyota Tundra is a flexible vehicle that can be used in a wide number of situations and drivers of this pickup have found more times than not that they are the one friends turn to when they need something hauled because the Tundra is so reliable. The Toyota Tundra has a larger, more powerful engine at 5.7L compared with the Silverado’s 4.3L V6. Sure, the Chevy may have a better fuel economy rating, but the Tundra is powerful enough to make up for it. You can see for yourself today why so many drivers choose the Tundra. Don’t tell the other, but the 2015 Tundra is easily becoming one of our favorite models because of all that it can provide drivers. It comes standard with a touch screen display audio system, a rearview backup camera, front tow hooks, a heavy-duty tow hitch receiver and Toyota’s Star Safety System. 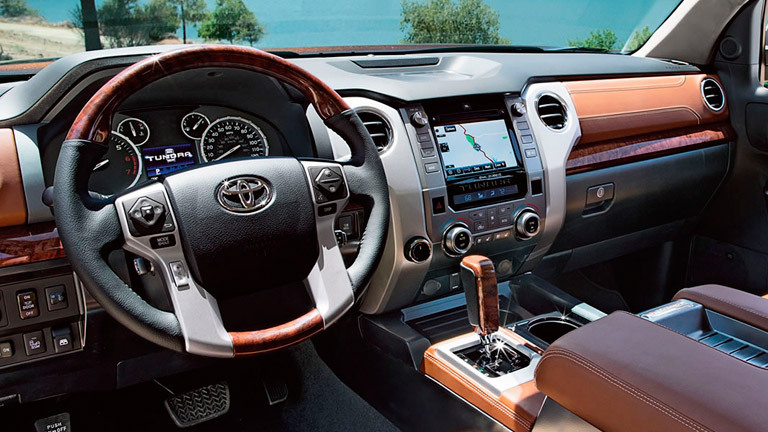 The interior of the 2015 Toyota Tundra Brampton ON is also appealing with its available leather seats, steering wheel-mounted controls, advanced technology and soft touch accent materials. The 2015 Tundra also has a number of efficient storage spaces that make the most of every nook and cranny. 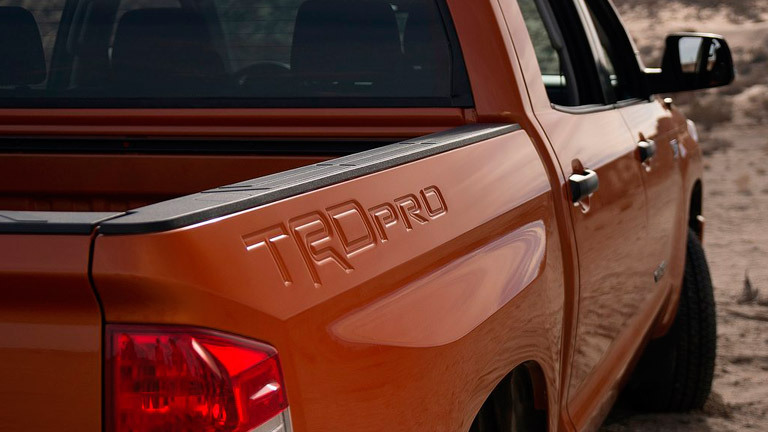 Some of the other fun features included and available in the 2015 Toyota Tundra are an easier lowering liftgate, an easy-moving driver’s chair and a tire pressure monitoring system to make vehicle maintenance a breeze. Get yours today at Attrell Toyota!